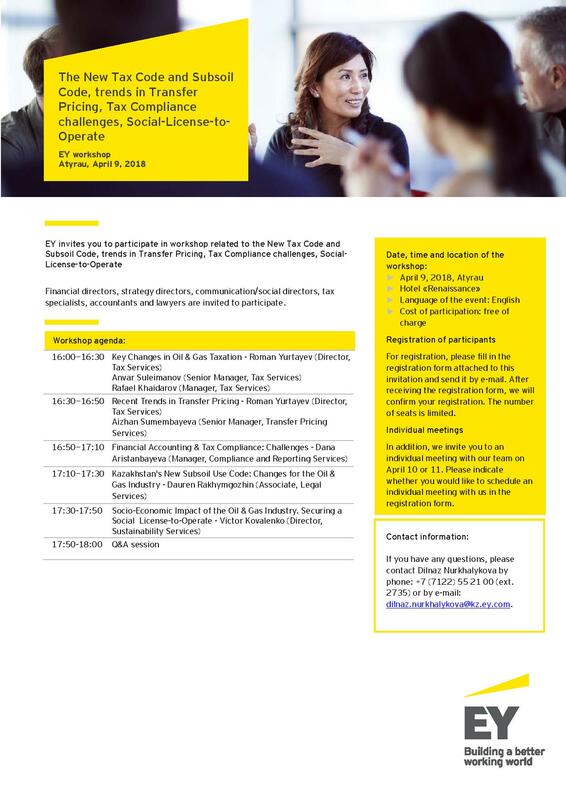 *The Workshop will be followed by a Sundowner sponsored by EY at 6:30 pm in the Ballroom. 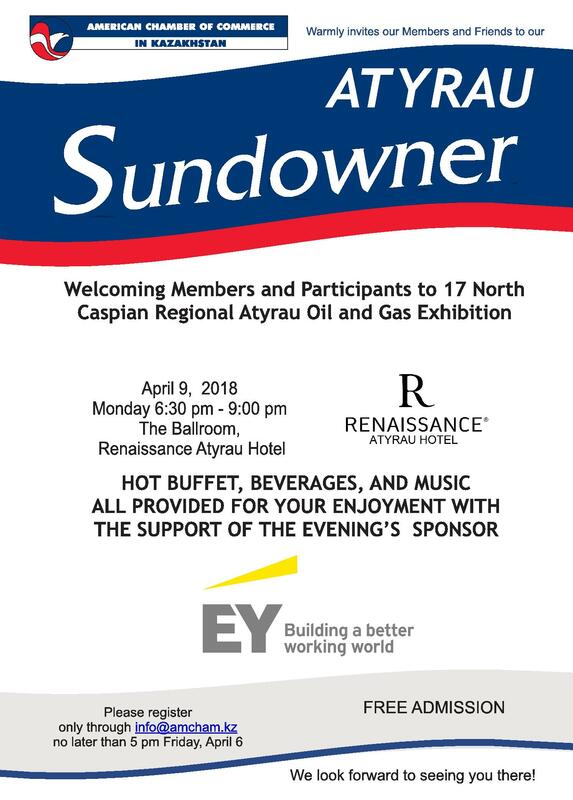 Please join AmCham for the AmCham Atyrau Sundowner at the Renaissance Atyrau Hotel, Ballroom on Monday evening, April 9. The evening will feature a full buffet dinner, wine, beer, and other drinks courtesy of the evening's sponsor, EY. Members and guests attend the Sundowner free of charge. AmCham members may attend both the Workshop and the Sundowner free of charge. Member companies are welcome to bring their promotional materials (brochures, leaflets, calendars, etc.). We look forward to welcoming our members and guests to the AmCham Sundowner on Monday evening.